Vevolution has been nominated for the best vegan festival at the annual Vegfest UK Awards. 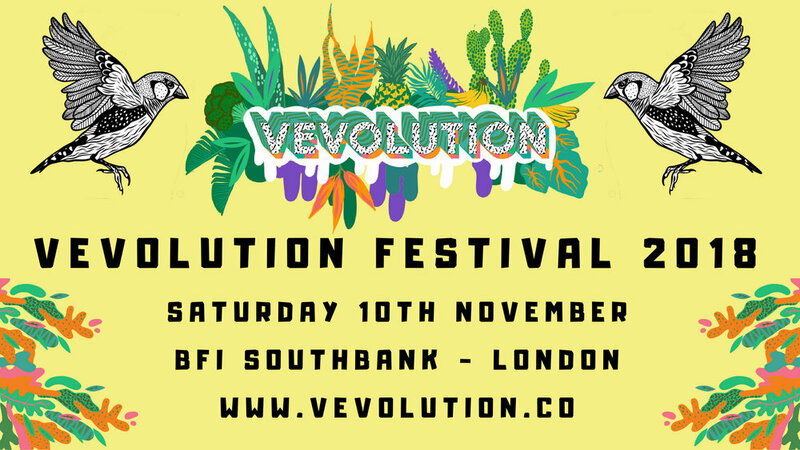 Vevolution Festival 2018 is taking place at the British Film Institute (BFI) on London's Southbank on the 10th November. Expect our biggest and most exciting festival to-date. Tickets are now on sale head over to our festival page to see all the exciting stuff we have planned.